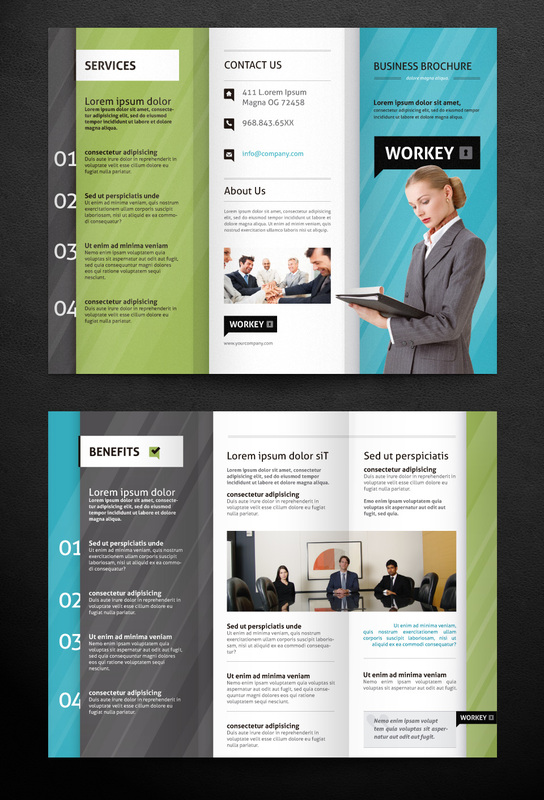 Get a brochure design you’ll love. An effective brochure grabs the attention of the customer or prospect and then informs, educates and sells. Bring your product or service to life with this powerful marketing tool. To get start with your Brochure design, follow the instructions bellow. If you have any questions you want to ask before working with us, please call/email us here with your inquiry. We're standing by to answer any questions you might have. Just choose a package, make a purchase and one of our graphic designer will contact you immediately. The first step is to talk about your vision of the design concept. We’ll discuss basics to really get a feel of what your Brochure is about and what you'd like to express through it. No matter what is the style of its contents, We will work with you to develop an expressive art concept! If you don’t have any ideas, that’s okay we’ve got you covered, when you give our designers the most freedom, they often do their best work. We typically return a first design proof within 3-5 business days once your request is submitted and we have all of your materials. 3. Do you offer Printing? Price do not include printing. 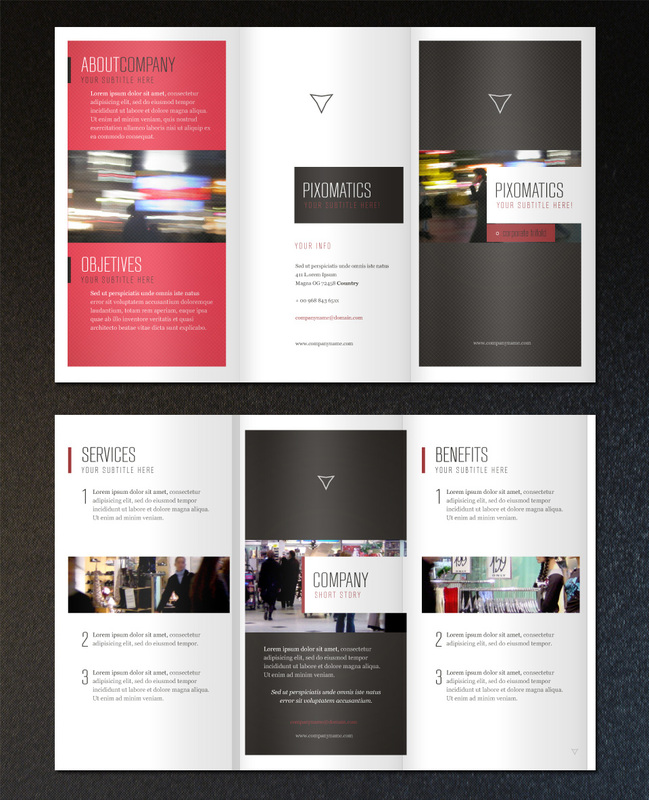 A perfect minimalist corporate tri-fold brochure. The trendy and modern design is ideal to showcase any company business. 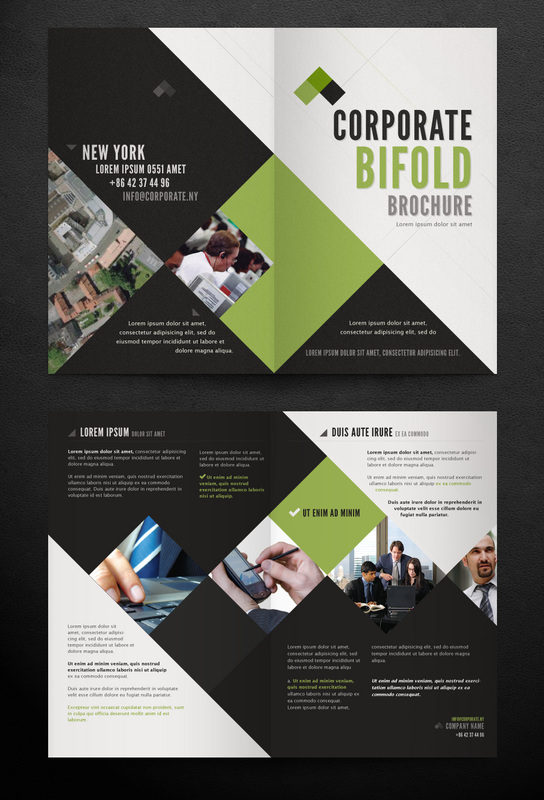 A nice clean bi-fold corporate brochure with a contemporary design. We can swap photos and change colors with ease to adapt it to any project you are working on.